In 2018 became only the third player in franchise history to produce at least 182 hits and 23 stolen bases at age 24 or younger (Bobby Tolan, 1969-1970 & Vada Pinson, 1960-1961, 1963)...produced 11 hits at StL in the series preceding the 2018 All-Star break (7/13-7/15), tying the club record for most hits over any 3-game span (Vada Pinson vs Mil/Phi, 8/12-8/14, 1959)...Peraza is the only player in Reds history with 11 hits in a 3-game series...his .324 batting average in 2016 led all Major Leaguers age 22 and younger while ranking second among all National League rookies and fifth in franchise history for rookies with at least 200 plate apps...after the 2016 All-Star Game break hit .355 to lead all Major League rookies...was the ninth-highest BA by any rookie in the second half of a season (minimum 180pa)...in 2016 was an MiLB.com organization All-Star...when acquired by the Reds in December 2015 was rated by Baseball America the fourth-best prospect in the Dodgers' organization...entered 2015 rated the top prospect in the Braves' system, that organization's best hitter for average, the fastest base runner in the Southern League and the Carolina League's best base runner and best defensive second baseman...in 2014 was the Braves' Minor League Player of the Year, Mississippi's Player of the Month for July and started at 2B for the World Team in the SiriusXM All-Star Futures Game at Min's Target Field...in 2013 was Class A Rome's Player of the Year...in 2012 was the GCL Braves' Player of the Year...in 2011 was the Braves' Dominican Summer League Player of the Year...among all minor league batters ranked third with 60 steals in 2014 and sixth with 64sb in 2013...has been successful on 220 of 276 stolen base attempts (80%) in the minor leagues and on 70 of his 94 attempts (75%) in the majors. Became only the third player in franchise history to produce at least 182 hits and 23 stolen bases at age 24 or younger (Bobby Tolan, 1969-1970 and Vada Pinson, 1960-1961 & 1963)...was 1 of only 2 players in the Major Leagues and the only player in the National League with at least 182 hits, 31 doubles, 14 HR and 23 stolen bases (Cle's Francisco Lindor, 183-42-38-25)...tied Cle's Francisco Lindor for the Major League lead in hits by a shortstop...among all National League players ranked T3rd in sacrifice bunts, T4th in hits and T5th in multi-hit games...led the National League in most plate apps per strikeout (9.1)...produced 3 team-high streaks of at least 40 plate apps without a strikeout (45pa from 7/11-7/25, 43pa from 4/15-4/25, 40pa from 5/22-6/2)...led the team in games, at bats, hits, doubles and sacrifice bunts...is the first Reds shortstop to lead the team in hits (182) since Felipe Lopez had 169 hits in 2005...fell 3 hits shy of Barry Larkin's club record for hits in a season by a player whose primary position was shortstop (185 hits, 1990)...in his last 105 apps of the season beginning 5/27 hit .310 (22 2b, 4 3b, 12hr, 46rbi, 15sb, .347obp)...his batting average in that span was the ninth-highest in the Major Leagues and sixth-best in the National League...from 5/26-6/24 reached base safely in 23 consecutive apps (.330ba, .392obp)...was the longest on-base streak of his career and the longest by a Reds batter this season...led the team in starts batting leadoff (50gs) and second (72gs)...also hit seventh (22gs) and eighth (8gs)...received votes for the NL Player of the Week Award for 4/23-4/29, won by teammate Joey Votto...in 7g that week hit .441 with 2 HR and 5 RBI (.618slg, .457obp)...hit 2 HR in his first 76 apps of the season and 12 HR in his last 81 apps, including 6 HR in his last 29 apps...hit a pair of leadoff home runs, the second and third of his career (6/28 vs Mil of Junior Guerra, 8/4/night at Wsh off Jeremy Hellickson)...on 4/27 at Min produced his only career 2-homer game (off Phil Hughes, David Hale)...on 7/1 vs Mil produced his only career grand slam (off Aaron Wilkerson)...was the ninth grand slam by a Reds batter in 2018, tying the 2002 club record...the Reds finished the season with a single-season franchise record 11 grand slams...on 6/27 at Atl and 6/28 vs Mil homered in consecutive games for the first time in his career, then did it twice more on 8/18 & 8/19 vs SF and on 9/12 vs LAD & 9/14 at Cubs...made his only professional appearance in right field in the eighth and ninth innings of the 6-2 win on 5/11 at LAD...on 8/15 vs Cle became the first Reds shortstop with 3 doubles in a game since Orlando Cabrera on 9/15/2010 vs Ari. Established career highs in games, runs, hits, doubles, triples, HR, RBI, walks and stolen bases...ranked T6th in the National League in stolen bases...played 2B (77g, 69gs), SS (55g, 48gs) and CF (2g, 2gs)...made his starts in CF on 9/10 at NYM and 9/20 vs StL...twice filled in as the starting shortstop when Zack Cozart was disabled...from 6/18-6/29 started at SS in 10 of the Reds' 11 games and from 7/25-8/5 started at SS in all 11 Reds games...in the batting order hit leadoff (11gs), second (28gs), sixth (7gs), seventh (56gs), eighth (8gs) and ninth (9gs)...in his last 48 apps of the season beginning 7/27 hit .293 (3 2b, 12hr, 11rbi, 8sb, .361obp), raising his overall batting average from .246 to season-ending .259...between 4/5-4/20 did not strike out over 53 consecutive plate apps, the third-longest such streak in the Major Leagues this year behind Buster Posey (55pa, 5/12-5/28) and Brian McCann (55pa, 7/26-8/27)...between walks on 5/21 vs Col off Kyle Freeland and 7/25 at NYY off Dellin Betances, did not draw an unintentional walk in 197 plate apps...was the longest such streak in the Major Leagues this season...between Freeland's walk on 5/21 and an intentional walk on 7/18 vs Ari, went 183 plate apps between walks of any kind...produced career-high hitting streaks of 9 games (4/24-5/5) and then 13 games (5/13-5/28)...with 2 outs in the eighth inning of 4-2 win on 8/24 vs Cubs, produced a 2-run double off Pedro Strop that erased a 2-1 deficit...following the season played for Magallanes in the Venezuelan Winter League (9g, .316, 1 2b, 1 3b, 4rbi, 1sb)...during spring training led the team in hits (23) and at bats (67)...hit safely in 14 of his 21 spring apps, including 5 of his last 6g (8-20, .400, 2hr, 4rbi). Was an MiLB.com organization All-Star and following the season was rated by Baseball America the 17th-best prospect in the International League...made just 72 apps and 56 starts with the Reds but still ranked among the National League rookie leaders in hitting (2nd), stolen bases (4th), on-base percentage (6th), multi-hit games (22, 7th) and hits (8th)...his .324 batting average was the fifth-highest in Reds history for rookies with at least 200 plate apps and the highest this season by any player age 22 or younger...his .355 BA after the All-Star break also led all NL rookies...in 39 apps after he was promoted on 8/20 ranked third in the Major Leagues in hitting at .366 (56-153, 8 2b, 2 3b, 2hr, 17rbi, 11sb)...teammate Joey Votto was first at .382 and StL's Yadier Molina second at .367...Peraza's 56 hits beginning 8/20 were third-most in the majors (Trea Turner 61, Votto 58)...his three 4-hit games ranked second on the team to Joey Votto's five 4-hit games...as one of the Reds' most versatile players appeared in games at 2B (12g, 7gs), SS (31g, 29gs), LF (8g, 8gs) and CF (13g, 11gs)...his starts in LF were his first professional apps at that position...after Zack Cozart was injured, beginning 9/12 started at SS in 17 of the Reds' last 20 games...with Billy Hamilton injured, from 9/5-9/13 started in CF in 7 of the Reds' 9 games...in his first 2 stints with the Reds, from 5/13-5/17 made 4 apps and 3 starts for Cin after he was promoted to fill the roster spot vacated by OF Billy Hamilton, who went on the bereavement list, and from 6/14-7/31 made 29 apps and 17 starts...on 8/20 was promoted for his third stint with the Reds and in that night's 11-1 win vs LAD produced a 2-run HR and established career highs with 3 hits and 3 RBI...on 5/14 vs Phi made his Reds debut with a start in CF (1-4)...singled on the first pitch he saw...on 7/17 vs Mil was caught stealing by Zach Davies and Jonathan Lucroy, the first caught stealing of his career...had been 13-for-13 in stolen base attempts, including 10-for-his-first-10 this season...in the 3-2 win on 7/31 at SD started in LF and in his first plate appearance hit his first career home run, a 2-run shot off Paul Clemens that erased a 1-0 deficit...hit his second HR in his next appearance for the Reds, a 2-run HR off Brett Anderson on 8/20 vs LAD...for Louisville made 58 starts at SS, 6 starts in CF and 5 starts at 2B...in 23 spring training apps hit .281 (1 2b, 2 3b, 1hr, 7rbi, 6sb)...played 2B (9g), SS (9g), CF (4g) and LF (1g)...as one of the club's final roster moves, was optioned to Louisville 2 days before Opening Day. Hit .293 with 33 stolen bases in 118 apps for the Class AAA affiliates of the Braves and Dodgers and in his Major League debut played in 7g for LAD...overall played 18g in CF, including 1 appearance at that position for the Dodgers...were his first professional apps in the outfield...for LAD made 6 starts at 2B...made his Major League debut on 8/10 vs Wsh, started at 2B and tripled off Gio Gonzalez for his first career hit...did not play after 9/13 because of a strained left hamstring...entered the season rated the top prospect in the Braves' system and that organization's best hitter for average...by mid-season was rated the 26th-best prospect in all of baseball before he was traded to LAD on 7/30...also entered 2015 rated the fastest baserunner in the Southern League and the Carolina League's best baserunner and best defensive second baseman... finished the season rated the 14th-best prospect in the International League. Enters 2015 ranked by Baseball America as the top prospect in Atlanta's farm system, as well as the "Best Hitter for Average" among Braves farmhands in the publication's "Best Tools" survey...Named the Braves organizational Player of the Year after hitting .339 (159-for-469) between High-A Lynchburg and Double-A Mississippi, with 79 runs, 20 doubles, 11 triples, two home runs and 44 RBI...Swiped the fourth-most steals in the minors and the most in the organization by collecting 60 steals in 75 attempts (80%)...Finished in the Top 10 among all Braves farmhands in runs (1st, 79), hits (1st, 159), triples (T1st, 11), steals (1st, 60), batting average (3rd, .339), at-bats (6th, 469), slugging percentage (6th, 441), OPS (6th, .805) and OBP (8th, .364)...Hit .342 (97-for-284) in 66 games with Lynchburg before a promotion to Mississippi on 6/19...Named Mississippi's Player of the Month for July after hitting .359 in 24 games, with 17 runs and 16 steals...Compiled a .400 average (44-for-110) over 25 games in June between the two clubs, notching 26 runs, four doubles, five triples, 13 RBI, 14 steals and both of his homers on the season...Selected to play for the World Team in the 2014 SiriusXM All-Star Futures Game, getting the start at second base and going 1-for-2 with an infield single...Stole a season-high three bases on two occasions (5/10 at Wilmington and 7/21 at Tennessee)...Placed on Mississippi's 7-day disabled list on 8/15 with a left groin strain before being reinstated on 8/31. Labeled by Baseball America as Atlanta's sixth-best prospect in the system for 2014, as well as the Braves 12th-best player under 25 years old...Garnered Player of the Year honors at Rome (A), where he paced the squad in runs (72) and hits (129), while leading qualified hitters with a .288 (129-for-448) average...Swiped a career-high and organizational-leading 64 bases, getting caught 15 times for an 81% success rate...Hit a season-high .315 (29-for-92) in July, logging three doubles, two triples, 14 RBI and 22 steals in 25 games...Recorded a four-hit game on 9/1, ending the night 4-for-5 with two runs. Selected by Baseball America as the organization's 10th-best prospect, as well as the fastest baserunner in the system...Tabbed as the GCL Braves (R) Player of the Year and as Player of the Month for June...Earned a promotion to Danville (R) on 7/15 and combined to hit .296 with 61 hits and 25 stolen bases between the two clubs...Led Danville in steals in only 32 games. Named the organization's DSL player of the year...Awarded the organization's July Batter of the Month for the DSL after batting .360 with three doubles, one triple, eight RBI and nine stolen bases. 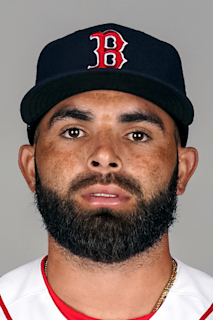 October 10, 2017 2B Jose Peraza assigned to Navegantes del Magallanes. October 4, 2016 OF Jose Peraza assigned to Cardenales de Lara. August 20, 2016 Cincinnati Reds recalled SS Jose Peraza from Louisville Bats. August 2, 2016 Cincinnati Reds optioned 2B Jose Peraza to Louisville Bats. June 14, 2016 Cincinnati Reds recalled Jose Peraza from Louisville Bats. May 18, 2016 Cincinnati Reds optioned 2B Jose Peraza to Louisville Bats. May 13, 2016 Cincinnati Reds recalled Jose Peraza from Louisville Bats. April 3, 2016 Cincinnati Reds optioned 2B Jose Peraza to Louisville Bats. October 16, 2015 Los Angeles Dodgers activated 2B Jose Peraza. October 9, 2015 Los Angeles Dodgers reassigned 2B Jose Peraza to the minor leagues. August 28, 2015 Los Angeles Dodgers recalled 2B Jose Peraza from Oklahoma City Dodgers. August 13, 2015 Los Angeles Dodgers optioned 2B Jose Peraza to Oklahoma City Dodgers. August 10, 2015 Los Angeles Dodgers recalled Jose Peraza from Oklahoma City Dodgers. July 30, 2015 Los Angeles Dodgers optioned 2B Jose Peraza to Oklahoma City Dodgers. March 16, 2015 Atlanta Braves optioned 2B Jose Peraza to Gwinnett Braves. November 19, 2014 Atlanta Braves selected the contract of Jose Peraza from Mississippi Braves. August 31, 2014 Mississippi Braves activated 2B Jose Peraza from the 7-day disabled list. August 18, 2014 Mississippi Braves placed 2B Jose Peraza on the 7-day disabled list retroactive to August 14, 2014. June 19, 2014 2B Jose Peraza assigned to Mississippi Braves from Lynchburg Hillcats. March 31, 2014 2B Jose Peraza assigned to Lynchburg Hillcats from Rome Braves. March 8, 2014 SS Jose Peraza assigned to Atlanta Braves. April 1, 2013 SS Jose Peraza assigned to Rome Braves from Mississippi Braves. March 29, 2013 Jose Peraza assigned to Mississippi Braves from Danville Braves. March 23, 2013 SS Jose Peraza assigned to Atlanta Braves. July 14, 2012 Jose Peraza assigned to Danville Braves from GCL Braves. April 1, 2012 SS Jose Peraza assigned to Atlanta Braves. November 18, 2011 Jose Peraza assigned to GCL Braves from DSL Braves. May 28, 2011 Jose Peraza assigned to DSL Braves from Atlanta Braves. May 27, 2011 Atlanta Braves signed SS Jose Peraza.